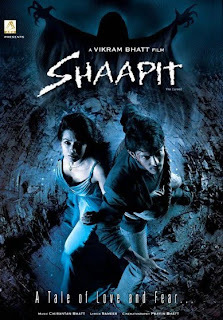 Shaapit - A Tale of Love and Fear, is part of Vikram Bhatt’s trilogy to his horror movies Raaz and 1920. It also marks the acting debut of singer Aditya Narayan (son of veteran singer Udit Narayan) and Shweta Agarwal. 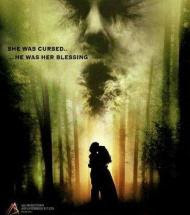 Under the banner of ASA Productions and Enterprises, Shaapit is a horror flick intertwined with a beautiful love story. And well, from the looks of it, the film promises to be the scariest and the most thrilling experience which will surely keep the audiences on the edge of their seats! The story revolves around a young girl Kaaya (Shweta Agarwal) who is trapped in a generational curse making life distressful for her and her lover Aman (Aditya Narayan) who vows to conquer this curse to marry her. It would not be wrong to say that Shaapit is definitely a film of its kind. The genre could vastly be called an adventure/horror/love story, never attempted in Indian Cinema. While Vikram Bhatt remains one of the most sought after directors and ‘horror’ clearly being his forte, this movie shall be a treat for all those seeking a thrill ride in the coming year. After rendering beautiful music in the previous ASA production- Three, Vikram’s cousin, Chirantan Bhatt is all set to impress the audiences with some fresh melodious numbers. hi its me sidra what a horrorr.......movie yar but there are some little...... mistakes like bongeees........and the couple iz the best.